Vintage-style flowers and energy waves make this mandala stand out. This Flower Power coloring page is a mandala from the Flower Mandalas Candy Hippie coloring book. Categories: Coloring Pages, Mandalas. 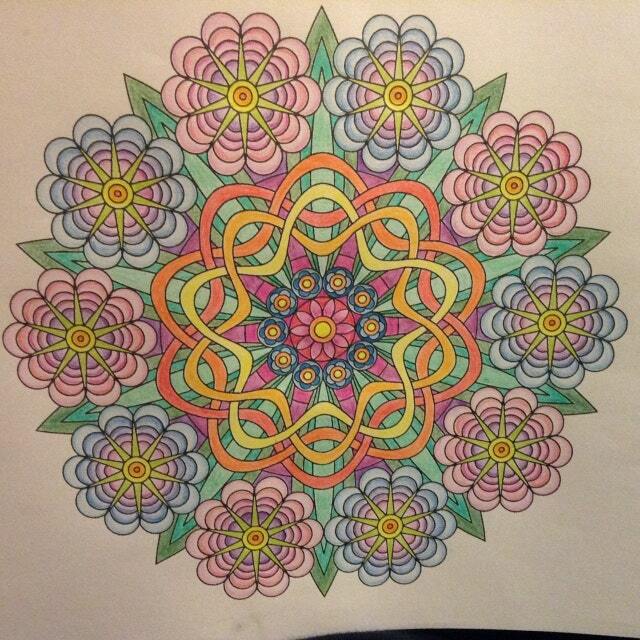 Tags: book: flower mandalas, dollar pages, Flower Coloring Pages, Hippie Coloring Pages, mandala difficulty: medium. This instant download of a single coloring page will be ready for you to download and print as many times as you want as soon as you purchase it. The PDF is not watermarked nor signed. It’s sized to fill an 8.5×11-inch page with 1/2-inch margins and can also be printed on A4 paper. Candy Hippie digitally designed this mandala coloring page, then touched it up further for a perfectly professional, clean image. The final product will have smooth lines without unwanted marks or visible pixellation after printing. Print using a laser printer to prevent smudging during coloring, especially if you’ll be using ink, paint or markers rather than colored pencils or crayons. You may want to print on card stock rather than plain paper to prevent your pigments warping or bleeding through your page. You can also find this Flower Power coloring page in the Candy Hippie Etsy shop.